A streetcar low voltage power supply box exploded view of an instruction manual. 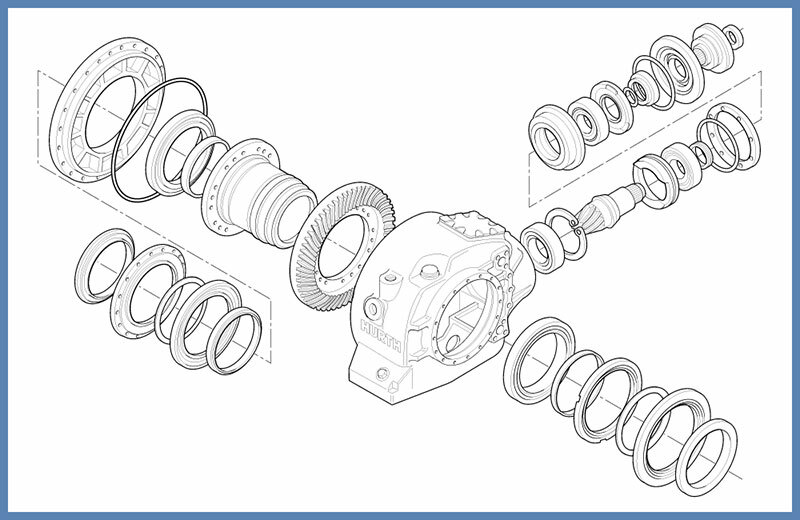 A streetcar gearbox exploded view drawing for a technical instruction manual. 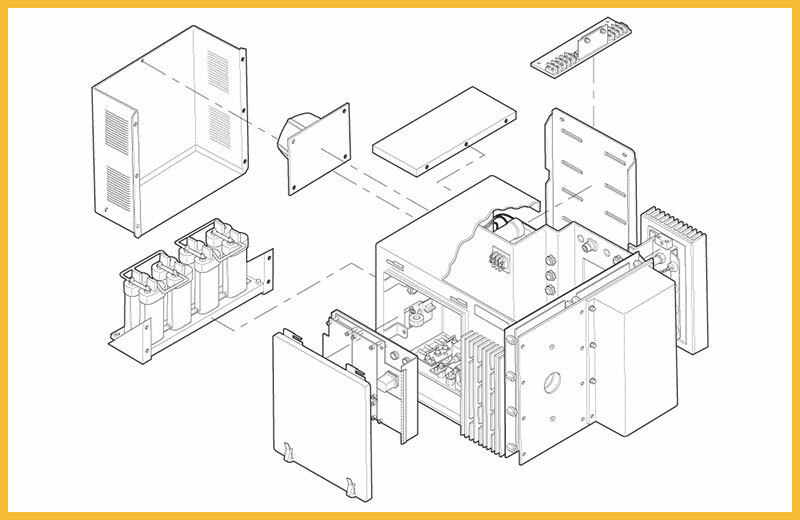 Client: Toronto Transit Commission: A streetcar low voltage power supply box exploded view of an instruction manual.